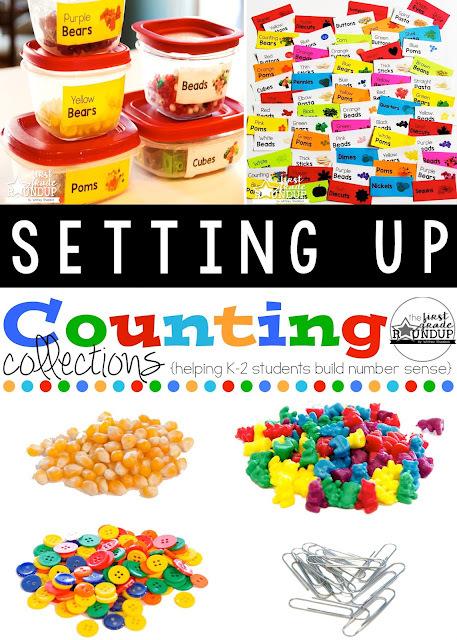 Have you jumped on the counting collections bandwagon yet? Because if you haven't, you need to take the leap NOW! Counting Collections is one of my absolute favorite parts of teaching math in first grade. 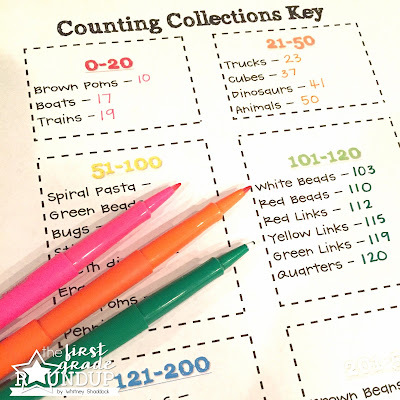 My kids learn so so much counting random objects each week...each May my mind is *blown* by the amount of growth in their counting skills, teamwork skills, skip counting skills, mental math skills, base ten understanding and notation/equation writing skills! So much math jam packed into one activity. So, have you been in the dark with this whole Counting Collections movement? 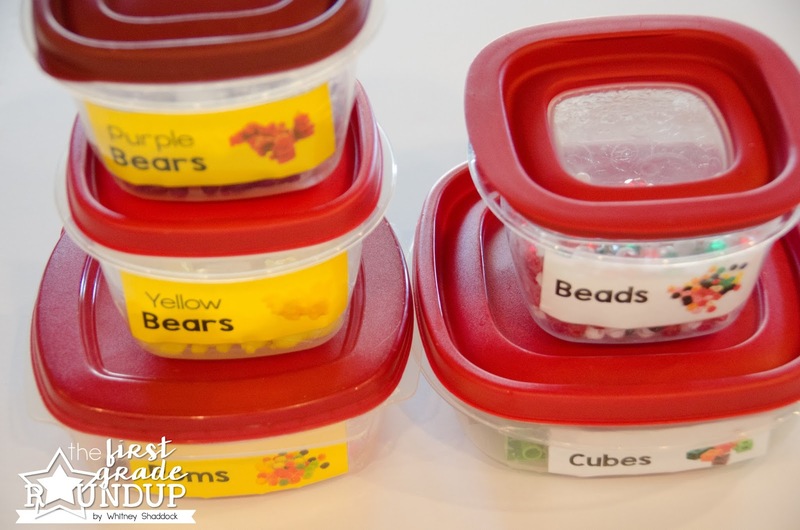 Read more about what it is and what it looks like in the classroom in this blog post. This blog is dedicated to setting up and organizing Counting Collections in your classroom! After everything was counted and recorded, I started labeling. 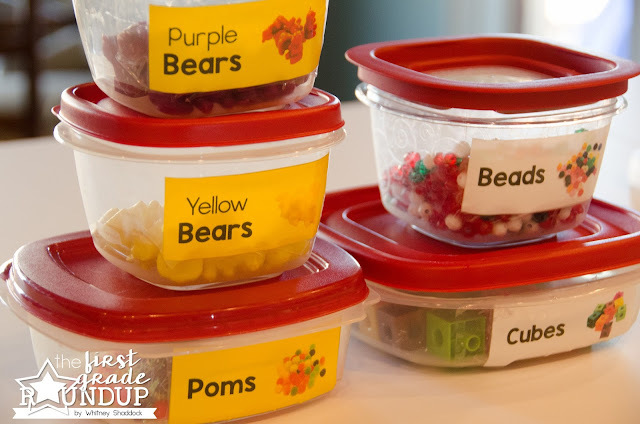 Labeling makes me unexplainably happy. 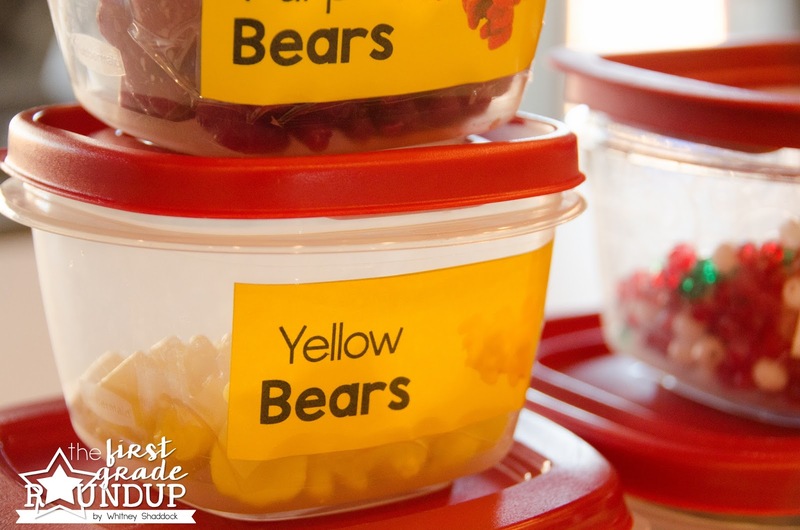 And add color coding to that labeling and I'm on cloud 9! :) I like to go in rainbow order so pink/red are my low babies and blues and purples and whites are my high babies. That just keeps things easy for me. But honestly, those labels just didn't stick as well as I had hoped. By the end of our first counting collections year, they were peeling off. So, I made and printed my own labels on colored paper or white paper based on my coding system and taped the labels on with clear packing tape. SO MUCH BETTER and more durable too! 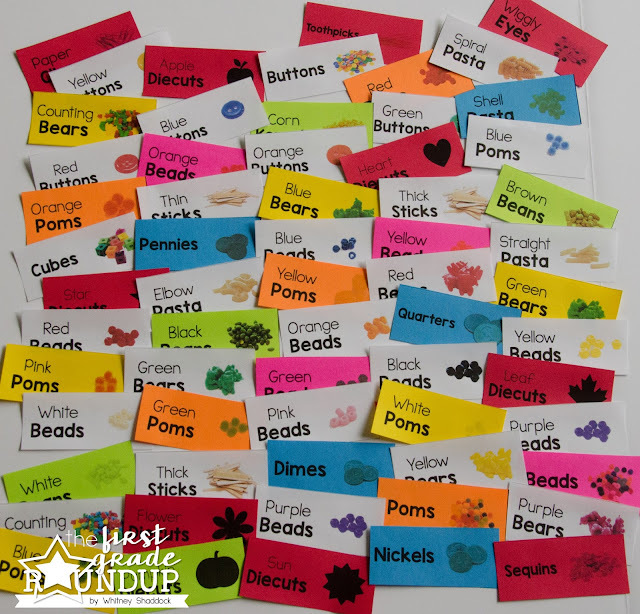 And the photos on the labels make it super colorful and easy for my little people to use! 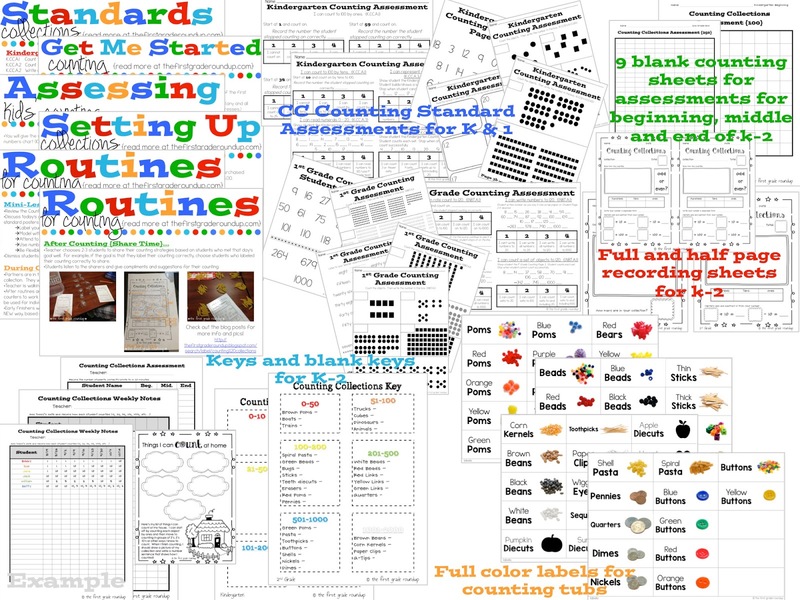 I've recently added these labels to my Counting Collections packet so redownload if you already own this packet for the update! It's as easy as that! 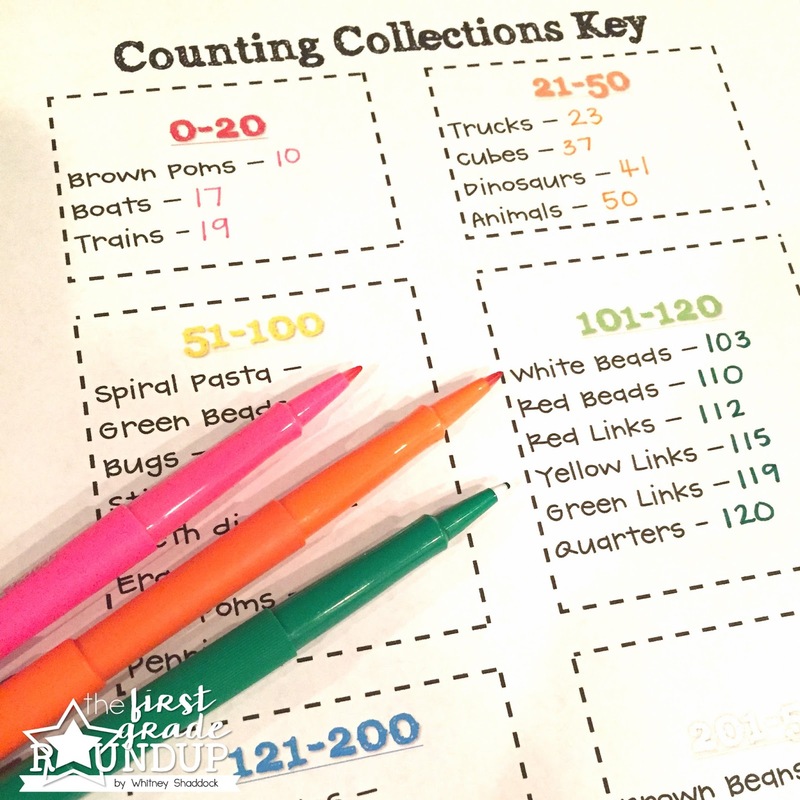 You're ready to launch Counting Collections! 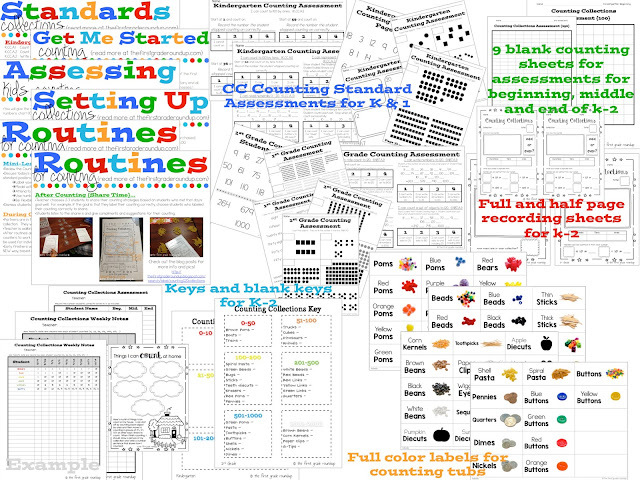 My packet includes lesson plans for helping you establish launching and sharing routines.